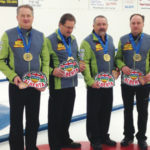 The winners of the 2018 Alberta Senior Curling Championship are Team Loblaw (Skip Terri Loblaw, Third Judy Pendergast, Second Sandy Bell and lead Cheryl Hall, pictured here in blue) and Team White (Skip Wade White, Third Barry Chwedoruk, Second Dan Holowaychuk and Lead George White, pictured here in green). 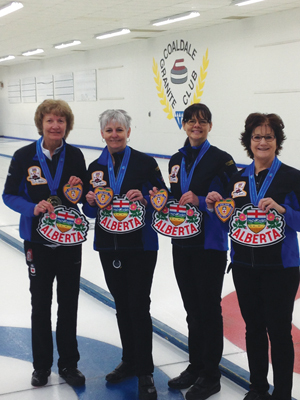 The championship was held Feb. 14-18 at the Coaldale Granite Curling Club. 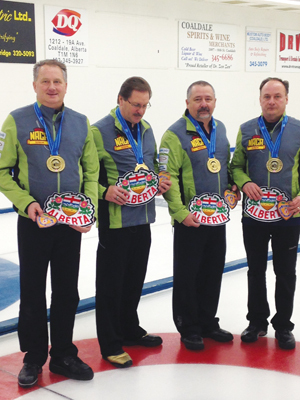 Both teams will go on to represent Alberta at the national curling championships. 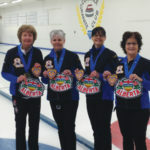 In this week’s edition of the Sunny South News, it photos were captioned as being by Nikki Jamieson, when they were in fact submitted by Roger Hohm. The Sunny South News apologizes for this error.